SAMHSA endeavors to keep the Locator current. Facilities may request additions or changes by email. 1 in 5 adult Texans will experience a mental health concern at some point this year. Over 20% of children ages 9-17 have a diagnosed mental illness. 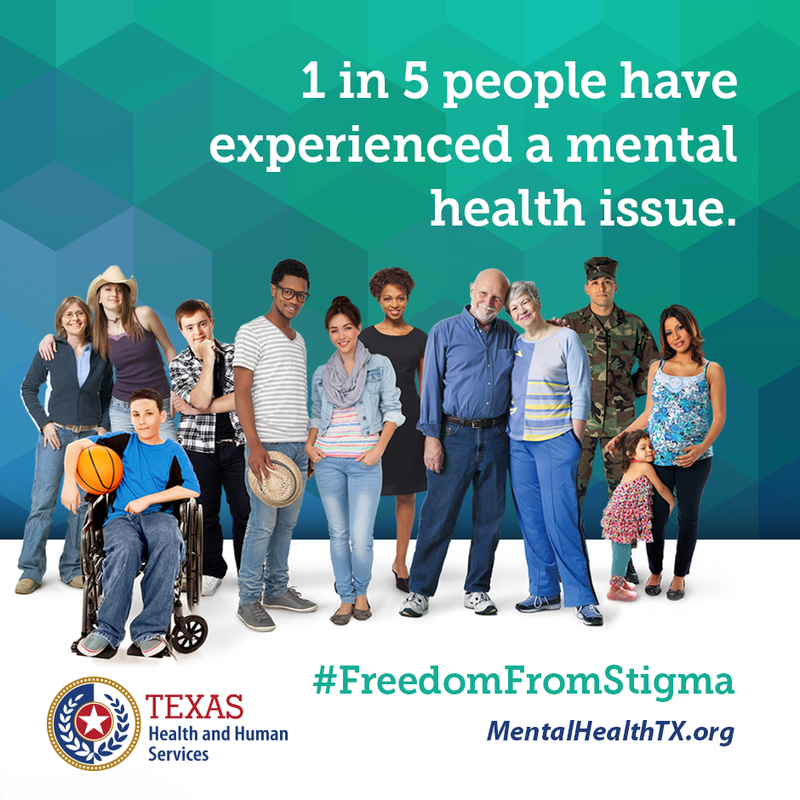 This website was developed with the goal of providing information, resources and direction to Texas residents who may have mental health related needs or who want to support someone who does. If you or someone you know are experiencing a mental health or substance abuse crisis or you require immediate assistance, call the numbers below to talk to someone 24/7. Dial 211 to be connected to Mental Health & Substance Abuse services in your area. Click here to learn more about the signs and symptoms of mental illness. Find Texas mental health services including crisis helplines, counseling, support groups and more. Learn the skills to identify, understand, and respond to signs of mental illness and substance use disorders. "Be the Difference: Mental Health First Aid USA"
”What a Difference a Movement Makes"
Find information and resources about substance use and mental illness prevention, treatment, and recovery. Families can find resources offering support and inspiration for children with disabilities or special health-care needs. Find assistance, services, benefits, and information for veterans, their families and survivors. The Office of Mental Health Coordination is now offering free online training for Texas' behavioral health frontline workers. Mental Health Wellness for Individuals with an Intellectual or Developmental Disability is a six-part training series for direct service workers and others who work with people with an intellectual disability or disorder and a co-occurring behavioral health condition. This website was developed by the HHS Office of Mental Health Coordination.